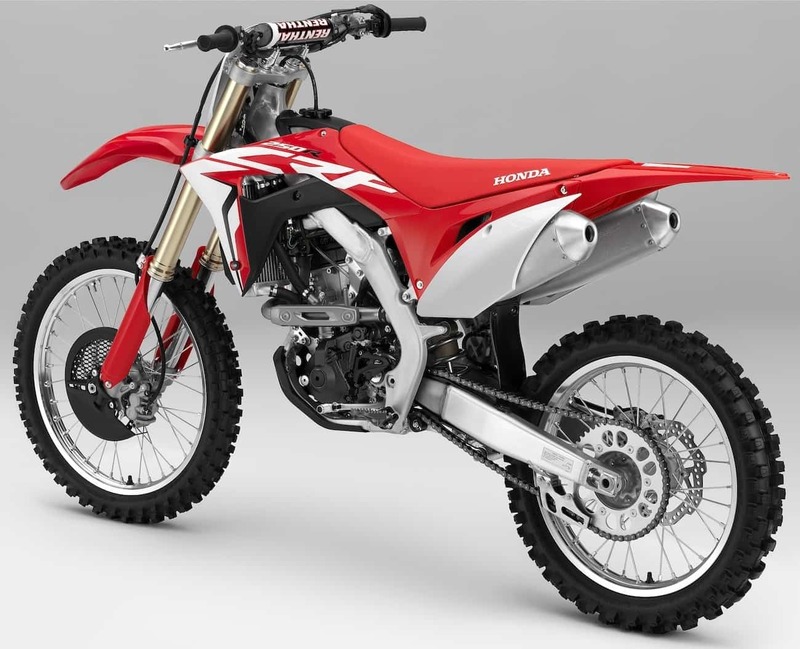 The 2018 Honda CRF250 was a nice all-around bike, but it’s engine was not one of the nice parts. My 2018 Honda CRF250 has plenty of midrange. I don’t know why MXA says that it lacks bottom and mid or that it is flat on top. This is not true. I can rev my bike all the way to 14,000 rpm without it losing power on top. You guys are wrong. Glad that you love the power on your 2018 Honda CRF250. It makes almost 2 horsepower more than the 2017 model. That’s the good news. The bad news is that below peak horsepower, which on the 2018 CRF250 is 40.70 horsepower at 11,800 rpm, it gives up 4.39 horsepower at 8000 rpm to the 2017 CRF250. We aren’t saying that the 2017 CRF250 engine was better, just that it was light years better at 8000 rpm than the 2018 CRF250. The 2017 CRF250 was a low-to-mid engine that peaked at 38.89 horsepower at 11,500 rpm. Your 2018 Honda CRF250 is a high-revving, top-end-only bike. But the last 2000 rpm on top is flat. The powerband comparison is more pronounced if you compare your 2018 Honda CRF250 to a 2018 KTM 250SXF. Here are the numbers. At 8000 rpm, the Honda makes 25.57 horsepower, while the KTM 250SXF makes 4.53 horses more. At 9000 rpm, the Honda gives up 4.20 horses to the KTM. At 10,000 rpm, the Honda gets within 1 horse of the KTM 250SXF. At 11,000 rpm, the Honda is again 1 horse short of the KTM. At 12,000 rpm, the Honda CRF250 makes 1.3 horses less than the KTM. It is after 12,000 that the Honda CRF250 powerband goes flat, which means that it keeps revving but doesn’t gain any horsepower to go along with the revs. At 13,000 rpm the 2018 CRF250 starts to fall off and makes 2.7 horsepower less than the 250SXF. Finally, at 14,000 rpm, the KTM 250SXF is making over 5 horses more than the Honda. Most engine tuners have their own theories as to why the 2018 Honda goes flat at 12,000 rpm, especially considering that it is making 40.70 horsepower at 12,000 rpm and loses 3.5 horses to itself by 14,000 rpm. Over the same 2000-rpm span (from 12,000 to 14,000), the KTM 250SXF gains 2 horses instead of losing them. 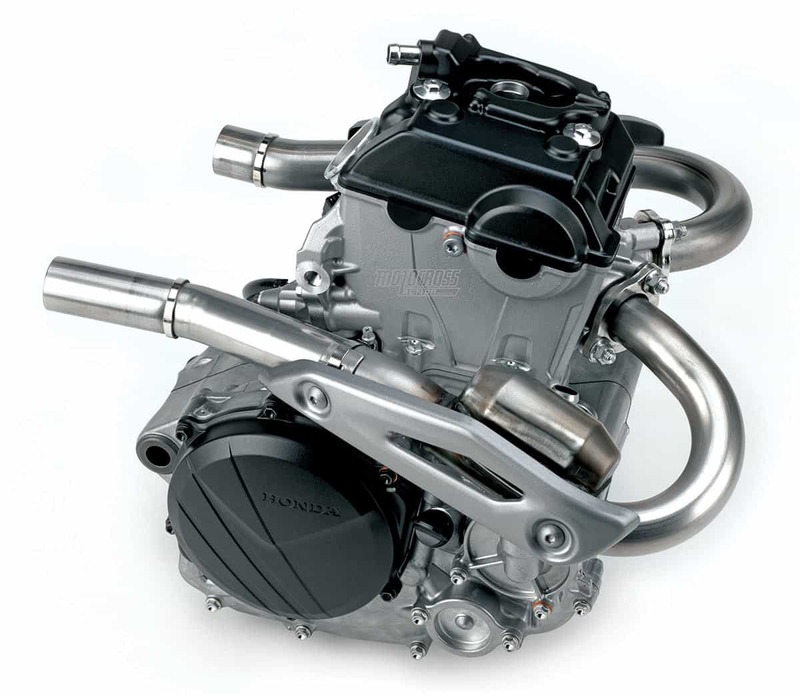 Engine tuners suggest that Honda’s engineers might have detuned the last 2000 rpm on the CRF250 as a fail-safe to keep the Honda engine alive—perhaps with a soft rev limiter, which accounts for the clattering noise that the CRF250 makes above 12,000 rpm. If this guess is even partially true, it could mean that Honda has future plans for the flat 2000 rpm on top.